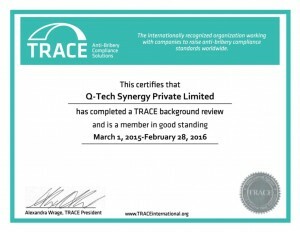 Q-Tech Synergy is a technology consulting firm specializing in the implementation, support and engineering of technology management. We facilitate organizational transformation by providing our Clients with creative, value-adding business solutions, employing state-of-the-art research and management methodologies. We offer comprehensive coverage of India Defense & Manufacturing sectors. A team of industry experts, consultants, market analysts, and market research executives continuously monitor and evaluate the market. Provides quality and productivity related professional services to Manufacturing and Service Industries. Diagnostic services to assess the present status of Quality Management Systems in organizations, provides gap analysis and assists to identify improvement areas. © qtechsynergy.com 2015 | Developed by LWC	TemplateMonster Design.